Did you know that for the programming period 2014-2020 of the EUROPAID programme the financial statement must be audited as soon as the amount of eligible costs exceeds EUR 100,000? Did you know that the grant recipient itself can hire the auditor in this case? Your chosen auditor, however, must proceed exactly according to the requirements of the European Commission. The format of the Audit Report, the format of the Letter of Representation as well as the format of the Engagement Letter are prescribed. 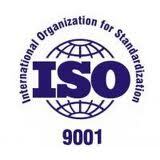 Our company has performed these audits in the past on behalf of the European Commission. Thanks to this experience we understand its requirements. Our company tookpart in the Prague half-marathon in support of the “Dejme dětem šanci” (“Let’s Give Children a Chance”) foundation. No worries...We don´t like spam. 2014© INTEREXPERT BOHEMIA spol. s r.o.